What a new perfume? Looking at the pictures I got in love with the new Blumarine perfume that is so attractive, feminine, and very summery. B. Blumarine Perfume is a new weapon of seduction in the hands of any women due to its fruity/floral aroma composed by the famous perfumer Marie Salamagne. It is a modern and fashionable design perfume that instantly attracts due to its marine/pink bow adorned over the cap of the perfume. What can be more enticing or thrilling that a nice decorated flower adorning over a sensual new perfume? 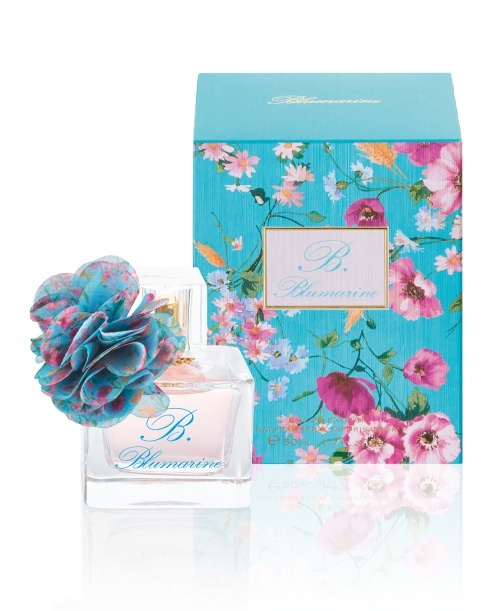 B. Blumarine Perfume opens to impress with fresh pink grapefruit and pear accords along with floral notes of Centifolia roses, jasmine, and passionflower. The base calms with woody notes of sandalwood, musk, and amber. This new edition perfume will be available late this month, in 30, 50 and 100ml Eau de Parfum Spray.